COUNTRY BED & BREAKFAST ACCOMMODATION NEAR DUNEDIN. 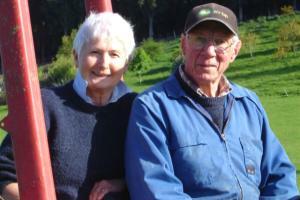 Grant’s Farm Bed & Breakfast accommodation is just outside of Dunedin and is owned and run by Tom and Jeanette Grant. We moved to the 20 hectare farm 22 years ago to allow us to have a property where small aircraft could operate. Tom was a frequent visitor to his grand parents sheep farm during the depression. He was the youngest sales representative on the road in his time. He has been a retailer, wholesaler, clothing manufacturer, and real estate agent. now farming with Jeanette and Bed and Breakfast host, building and flying aeroplanes in his retirement. Jeanette spent her early years on her parents dairy farm in Taranaki. More recently she has worked in the retail jewellery business for 18 years and for the following 16 years in exports and logistics management. Her interests are now farming with Tom, books groups, being a "supergran" (helping young parents) gardening, friends, and of course hosting bed and breakfast guests. Tom has been a pilot for over 60 years. He still holds a pilots license and flies regularly around Dunedin. He has many a tale to tell! 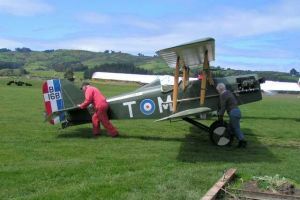 Tom built a SE5a replica more than 30 years ago and is still flying this aircraft. In addition we now have a Jodel D18 (2 seats) and are currently building another 2 seater similar to a Pietenpol in the style of a Gourdou-Lesurre. Both aircraft fly off the property, and visiting aircraft (and the pilots) are always welcome. A phone call to advise will mean that the runways can be clear for landing. 20 hectares farming beef cattle and sheep. 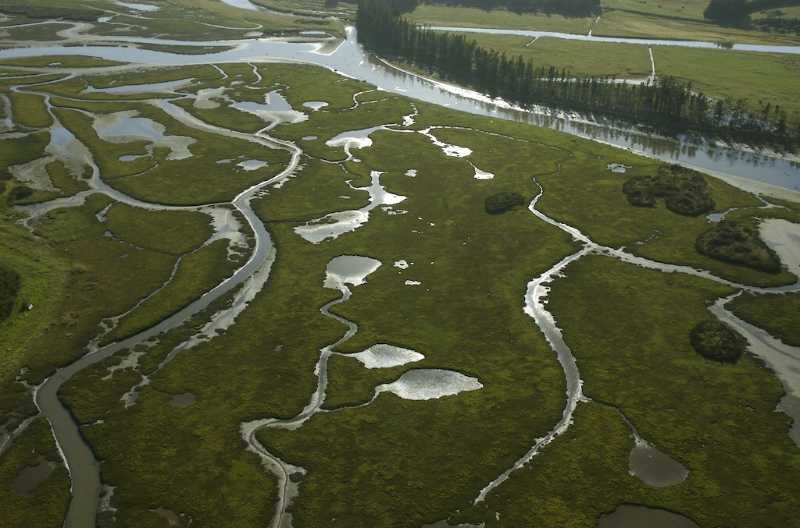 We are 20m above sea level with the Kaikorai Estuary, just south of Dunedin on our boundary. A short walk across the paddocks and you will see the wading birds. We have the real pleasure of birds about us at all times. The Dunedin B&B accommodation is both our home & guests apartment in the converted typical New Zealand woolshed. In fact, when we first purchased the property sheep were still being shorn in it. It is now a comfortable home for both us and our guests. Copyright © 2009 - Grant's Farm - Farmstay Bed & Breakfast - Dunedin. All rights reserved. SEO & design by 5 Star SEO NZ.